A decade ago, two Canadians released a report on illicit organ harvesting in China so shocking that many struggled to believe it. Since then, the investigation has continued and they’ve now updated their findings in a report that details the industry that has sprung up in China around the harvesting of human organs. David Kilgour, a former Secretary of State and federal Member of Parliament and international human rights lawyer David Matas released their initial report in July 2006. 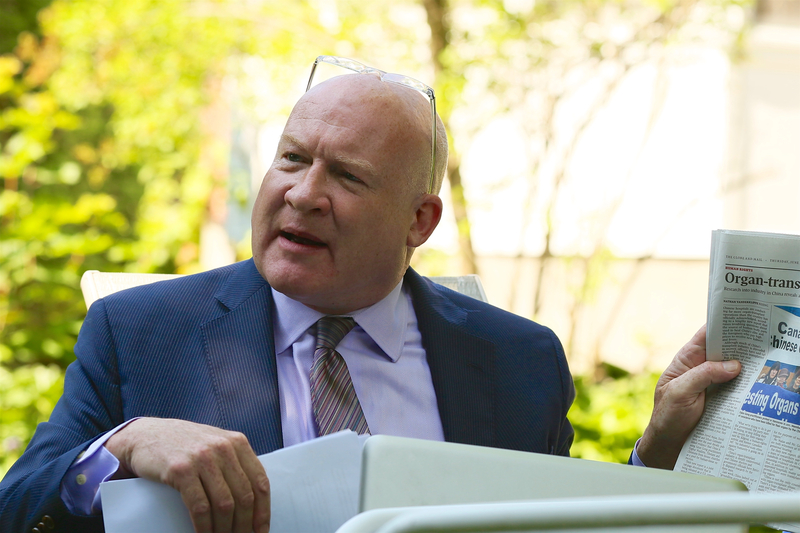 This Friday, June 24, the two returned to Ottawa with investigative journalist and author Ethan Gutmann, to release updated research that puts transplant volumes at up to 1.5 million in China. The source of those organs is not explained officially and the Chinese regime claims only 10,000 to 20,000 transplants take place annually rather than the up to 100,000 estimated in the updated 817-page report. That new figure is based on primary source research from thousands of documents “indicating that the scale of organ transplants is much larger than previously perceived by a large factor,” said Kilgour. What’s more, despite several reports and extensive investigation into the issue, there is still no stop to the practice. Falun Gong, also known as Falun Dafa, is a spiritual meditation practice that was first introduced to the public in China in1992, and became immensely popular within a short span of time, with government estimates putting the number of adherents between 70 to 100 million. The immense popularity of this traditional practice became a source of concern for then-leader of the Chinese Communist Party (CCP) Jiang Zemin, who launched a campaign of persecution against the practice in 1999, and, according to undercover investigators getting confirmation from an official, directly gave the order to use the adherents for their organs. “What’s more, the prices have gone up over time partly because of inflation, and partly because there’s more of a cover-up and there’s enough of a focus that [the Chinese regime] feel they can charge a premium for doing this undercover work,” said Matas. Gutmann, whose 2014 book “The Slaughter” is the culmination of seven years of research and investigation into China’s forced organ removal from prisoners of conscience, gave an insight on the estimation of the number of transplants done each year in China’s hospitals. “Back in 2013 if I was giving a talk with one of the Davids [Matas or Kilgour] or by myself to a college audience or Amnesty International audience in Europe, I’d ask them to Google ‘Tianjin organ transplant centre.’ This is what would come up: An ad, in English, that is advertising for the transplant centre, for foreigners to come to China. It said ‘we’re the best at heart transplants and lung transplants,'” Gutmann said. Investigations from different sources, including online advertisement and internal communications at the hospital, show that the hospital had 500 to 700 beds devoted just for transplants, and they had 100 percent to 131 percent occupancy rates, with the hospital claiming that at times they had to put patients into hotels due to lack of space. Gutmann said that puts the estimates of the number of transplants at this hospital alone at a minimum of 5,000 transplant a year. Another major hospital, the People’s Liberation Army’s 309 hospital in Beijing, is similarly estimated to perform about 4,000 transplants a year. Taking into account that there are 146 hospitals certified by the Chinese Ministry of Health to do transplants, and looking at their capabilities and other pieces of information, the report’s authors said they were able to estimate the annual rate of transplants in China. Besides the update on the volume of transplants involved, the updated report focuses on several other areas. The report looks at the CCP’s coverup of the forced organ harvesting and the regime’s attempts to hide individual hospital transplant figures. The report also explores the driving factors behind the volumes, the structure the regime has built around organ harvesting, the culpable individuals, and the CCP’s claims of recent transplant reforms. As well, the report addresses plastination, which involves the replacement of bodily fluids with polymers in a corpse for display at exhibitions. “There is compelling evidence that practitioners of Falun Gong are killed for both plastination and organ sourcing. The evidence supporting each abuse is also evidence in support of the other abuse,” said Matas. However, other nations are obligated to do what they can to avoid complicity in that abuse, he said. Matas gives the example of how King Leopold II of Belgium at the turn of the 20th century was engaged in slavery in the Congo and how that came to light by investigations conducted by Edmund Morel, a shipping line clerk. Morel had noticed that the goods coming to the Congo were guns, ammunition, and explosives, which went to the state or its agents, but the goods that left Congo were ivory and rubber, of much higher value than the goods sent in. He concluded that the ivory and rubber were not purchased in exchange of goods being shipped in, but rather the people producing the goods in the Congo were providing slave labour. “The conclusion was noteworthy because it was made without an eye witness evidence of slavery. It came just from shipping records. His work was initially met with official denials, yet it was accurate,” Matas said. At first, many were worried about offending Belgium by pressing the issue, but the British government eventually commissioned their consul in Congo to conduct an independent investigation into the issue, and the consul confirmed the existence of slavery in Congo after travelling there. 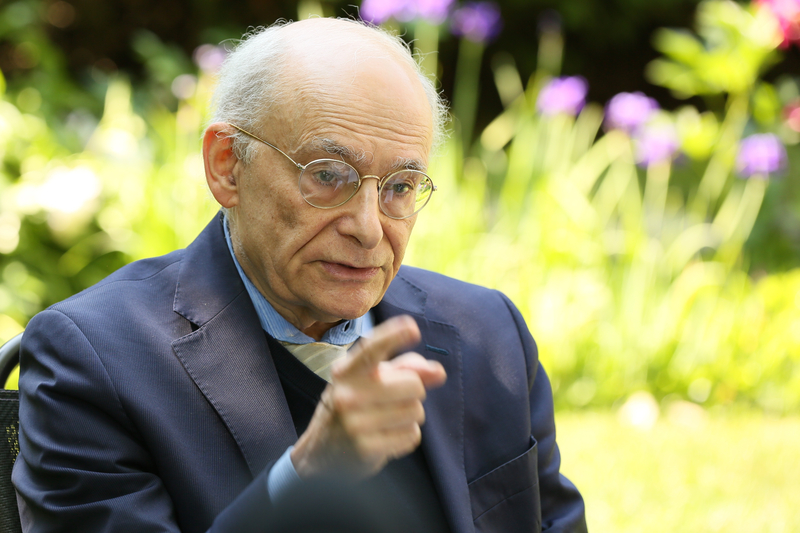 Matas said that discrepancy between the value of traded goods is very similar to discrepancy between the volume of transplants and the available donors. Kilgour and Matas have both requested visas to China to further investigate the issue in person, but their requests have been denied. 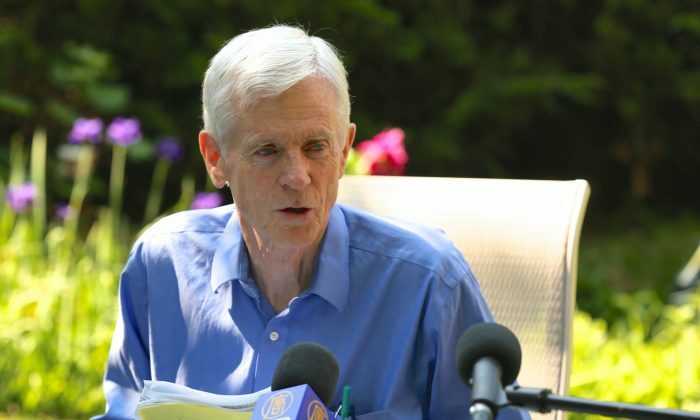 Matas said Chinese foreign minister Wang Yi’s lashing out at a Canadian journalist in a joint press conference with Canadian foreign minister Stephane Dion in Ottawa earlier in June is an opportunity for Canada to press China about the organ harvesting practice. “There’s been some criticism of Stephane Dion for saying nothing. I consider that an opportunity because if the Chinese minister of foreign affairs can do that publicly in Canada, then the Canadian minister of foreign affairs and the Canadian Prime Minister can do that publicly in China. That’s what should happen,” Matas said. In addition to raising this issue with the Chinese regime, Canada should take its own initiatives in the area, Matas said, which include legislation, resolutions, and conducting investigations into the issue. He cites the U.S. House of Representatives passing a unanimous resolution condemning harvesting of organs from Falun Gong practitioners in mid June. “We need to get the [Canadian] government engaged, not just in talking politely to China, but doing their own work on this file,” Matas said. Kilgour said he was pleased that Prime Minister Justin Trudeau expressed dissatisfaction with Chinese foreign minister’s conduct in Canada, and noted that a Nanos poll commissioned by the Globe and Mail shows that 76 percent of Canadians have a negative view of the Chinese government. Gutmann, a U.S. citizen who lives in London, said he knows Canada as a beacon of human rights in the world, and it’s time for Canada “to walk the walk.” He said Canada should follow examples of countries like Taiwan, Israel, and Spain who have made it illegal for their citizens to get organ transplants in China. Correction: An earlier version of this article incorrectly stated “Shenzhen organ transplant centre” instead of “Tianjin organ transplant centre.” Epoch Times regrets the error.